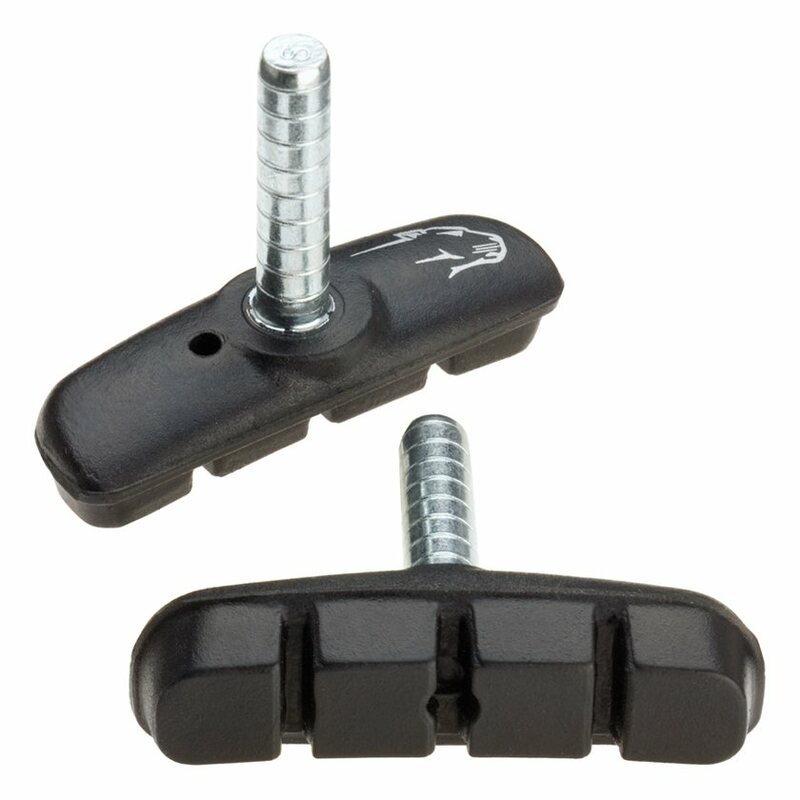 The Jagwire Basic Linear-Pull and Cantilever mountain brake shoes are quality shoes at a good value. Very different then my old brake pads, far better stopping power. I have these mounted on the rear and they work great, I was surprised to see that they even performed well when it was raining outside. I'm use to brake pads losing stopping power in the rain, to my surprise, these didn't. Great price. I bought these fairly cheap for an older mountain bike I wanted to clean up and tune. They work properly and I would buy hem again. These brake shoes work as they are supposed to: they stop the bike. My only negative is against the website description. The description should say these shoes come in PAIRS. I ended up buy twice what I needed because of that missing piece of information. This was part of a project of mine to buy a used bike (old Diamondback Topanga), take it apart, clean it, and put it back together. Learned a lot about how a bike functions and got a decent commuter bike on the back end. Brake pad replacement was a must, and these pads are a great value for a fixer upper. what is the diameter of the posts for jagwire MTN brake pads item BR309D01?